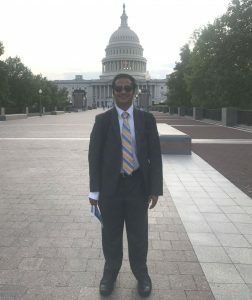 Our next summer report from our continuing student bloggers comes from Akshobh, who realized a long-held goal of working in Washington, DC with a summer position with the Atlantic Council. I remember being mesmerized by Washington D.C on my first visit well over a decade ago. As a history aficionado, I could not get enough of a city that epitomizes museums, monuments, and memorials. It was like being in adult Disneyland – I could never tire of the Smithsonians, running out of camera space photographing memorials, and being enamored by the city’s history. Upon matriculating at Fletcher, I made it a priority to work in Washington D.C over the summer, irrespective of the organization or the role. I understand it can be rather myopic to geographically prioritize a place over the role, but I was clear on this one thing. I left a vibrant, economically robust city like Singapore (where I was last based) because I wanted to work in a city that is at the center of global geopolitics. The term Fletcher Mafia is synonymous with Fletcher’s close, tightknit community and its vast expansion across geographically diverse regions, literally on every continent. But if there is a capital for the Fletcher Mafia, it would have to be Washington D.C. Not surprising, given that the capital houses federal agencies, global non-profits, international organizations, and other multilateral organizations – in other words where a lot of Fletcher students end up working. It’s possible that there is more Fletcher representation in D.C. (with all the alumni combined) than there are current students presently in Medford. 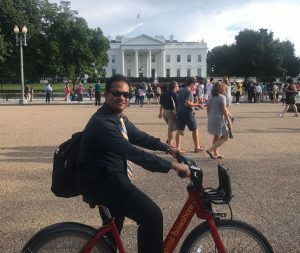 I was hired as a summer consultant for the South Asia Center of the Atlantic Council in Washington D.C. 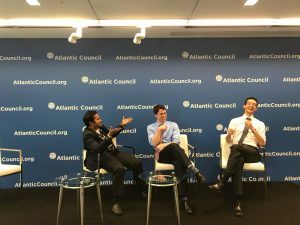 The Atlantic Council is one of the leading American think tanks focused on geopolitics of security and the geo-economics of trade and investment. I was hired as a media consultant to help the Council’s outreach in South Asia (India) and Southeast Asia (Singapore), two regions in which I had both lived and worked. 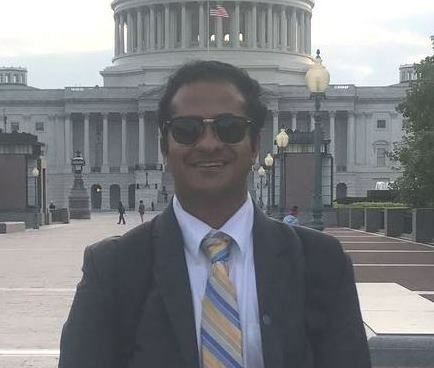 In addition to my role as a media consultant, I published articles extensively on the United States foreign policy towards South Asia, and the economic engagement within the region. Over the course of my two months, I covered the general elections in Pakistan, India-US defense engagements, the diplomatic discourse pertaining to India-Pakistan relations, and even wrote about how geopolitics played a part in the 2018 FIFA World Cup. As a former journalist, having interviewed several think tank experts on various issues, I found it good experience to get an insight into how think tanks operate. At the Council, we frequently hosted authors, journalists, former policy makers, and heads of state to share their insights into the region. I was fortunate to live downtown, right in the heart of the city – Foggy Bottom, a sobriquet for the State Department. From my window I could see Watergate and the Kennedy Center for Performing Arts – the juxtaposition of very different dramatic themes. I made use of the walk back or at times took advantage of the sharing economy (bike share) to make a brief sojourn outside one particular residence. 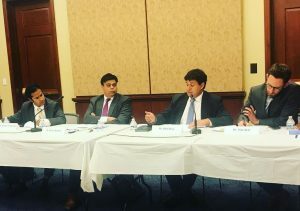 My highlight over the summer was being asked to moderate a panel jointly hosted by the Atlantic Council and US-India Political Action Committee (USINPAC) on Indo-US Trade Ties.This was held at US Capitol featuring speakers from Johns Hopkins SAIS, The Cohen Group, and McLarty Associates, as we rhapsodized on trade relations under the Trump administration, and even facetiously debated a Game of Drones (Military Drone Sales), and if countries could trade submarines while fighting over the price of soybeans. 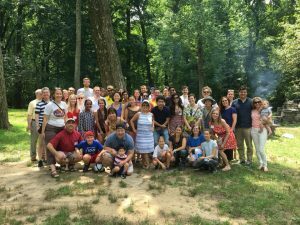 The D.C heat wave over the summer was mitigated by the warmth of the large Fletcher contingent. Fletcher is truly a global school, and this was evident as we each rooted for different teams over the summer as the largest sporting carnival the ‘football (yes, it is called football globally) World Cup’ kicked off. In true Fletcher mafia style, I found myself surrounded by Fletcher peers at the Atlantic Council. Peter Freudenstein, a dual degree exchange student, worked at the Global Energy Center while Colin Wall, a Masters of Transatlantic Affairs (MATA) student, worked at the Scowcroft Center. Given that neither of them was going to be returning to Fletcher, we made the most of each other’s company during our work lunches, happy hour drink sessions and our weekend catch ups. We even facetiously called ourselves AC/DC (Atlantic Council in D.C). Suffice to say that my stint was by no means a ‘highway to hell,’ but a stairway to heaven.